Remembering Von Freeman, Lol Coxhill And Sean Bergin Jazz lost many great saxophonists in 2012, including David S. Ware, John Tchicai, Byard Lancaster, Faruq Z. Bey, Hal McKusick and Red Holloway. Critic Kevin Whitehead pays tribute to three more of his favorites. Jazz lost many great saxophonists in 2012, including David S. Ware, John Tchicai, Byard Lancaster, Faruq Z. Bey, Hal McKusick and Red Holloway. 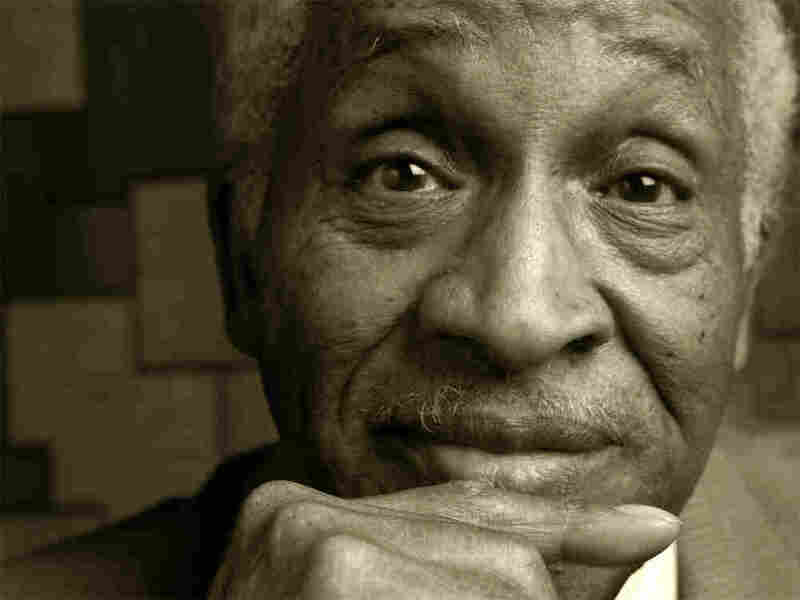 Tenor saxophonist Von Freeman died in August at age 88. The renowned Chicago jazz musician liked to stay close to home; he once raced back from a concert in Berlin to play a bar gig the following night. Freeman rarely missed one of his legendary Tuesday-night jam sessions, where he'd school young musicians by inviting them to find their own solutions to the problems he posed. He once explained his teaching method: "They ask me questions and I say, 'I don't know.'" Freeman wanted young players to put their influences and original ideas together for themselves, the way he had. "Have No Fear, Soul Is Here" from Von Freeman's 1975 reissue Have No Fear, provides one good introduction to his music. Freeman came out of jazz's swing-and-bop mainstream, but could also relate to free jazz expressionism. Like many others, he blended Lester Young's behind-the-beat honks with Coleman Hawkins' sophisticated harmony. But Freeman capped it with an eccentric tone quality all his own. He'd push the limits of good intonation, but could still land squarely on pitch. That could also describe the English saxophonist Lol Coxhill, who died in July at 79. On soprano sax, Coxhill stretched notes like taffy. It gave him an instantly recognizable sound. Coxhill honed his rubbery style playing on London streets in the 1960s, developing the art of solo soprano before celebrated colleagues Steve Lacy and Evan Parker. Coxhill's style was peculiar but internally consistent: pitch, tone-color and the beat were all subject to continuous fine-tuning. But there was also something very British about it — like he was a piper romping around the maypole. Like Von Freeman, Lol Coxhill worked a lot with younger musicians. He'd been playing jazz for more than a decade when, starting in the late '60s, he found congenial company with next-generation free improvisers and rock musicians. Coxhill recorded with singer Kevin Ayers, the Canterbury band Caravan and the punk group The Damned, among others. Producers used his slippery sound as a tuneful special effect, as heard in Tom Newman's "Superman." The South Africa-born alto and tenor saxophonist Sean Bergin, who died in September at 64, played on London streets himself before spending decades in Amsterdam, where he composed, organized bands, ran jam sessions and taught younger musicians. Bergin's tenor sound was big and blustery, like the man himself. It was as if the music was bursting from his horns, but he wasn't one to forsake melody as he surfed over a band's rhythm — as he did in "Kid/Trainride," on his 1987 masterpiece Kids Mysteries, the debut from his little big band the M.O.B. Where Von Freeman played blues and standards, and Lol Coxhill loved to free-associate, Bergin wrote tunes to unleash his massed forces, tunes that might recall South African street music. Bergin had big appetites, not least among them a hunger to play. But he also recognized that the music wasn't just about him — that sometimes you have to subsume yourself into the ensemble and give the solos away. The music Sean Bergin made was bigger than him or his saxophones.